There are $20 thousand pesos in prizes for the freestyle category for both men and women; the categories Sub-15 and Sub-17 will participate as guests. 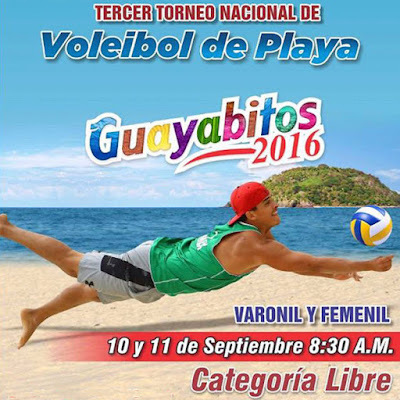 The Riviera Nayarit is ready to welcome the 3rd National Guayabitos Beach Volleyball Tournament on Saturday September 10 and Sunday September 11, 2016, an event organized the Compostela Association of Hotels and Motels (AHMC by its acronym in Spanish) and the Nayarit State Tourism Trust. The tournament will be freestyle for both men and women, with that participation of some of the best duos in the country from the states of Nayarit, Jalisco, Colima, Michoacán, Zacatecas, Sonora and Estado de México. The Sub-15 and Sub-17 will also participate as guests. 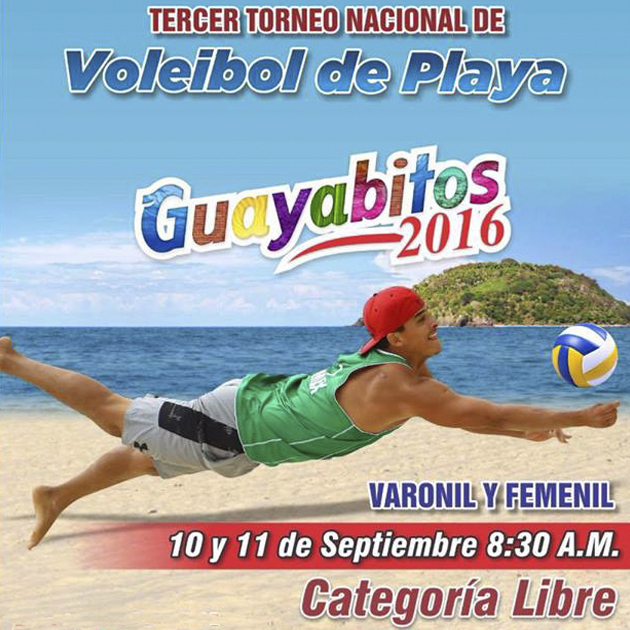 Gates open at 8:30 a.m. for this free competition set to take place at Playa Rincón de Guayabitos by the Retorno Gaviotas Zona Residencial (near Escolleras). There are $30 thousand pesos in prizes for the winners of the event, which is endorsed by the Mexican Volleyball Federation (FMVB by its acronym in Spanish) and the Nayarit State Volleyball Association. The AHMC would like to thank the support and the facilities offered by the Nayarit Secretary of Tourism and the Compostela City Council.